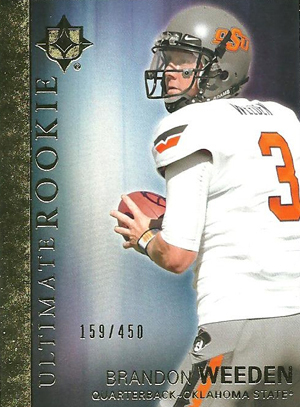 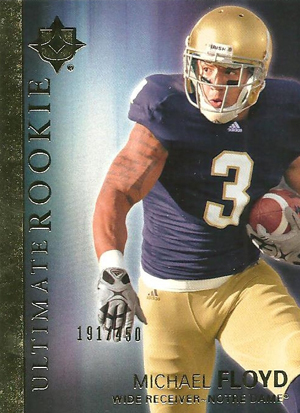 Although lots of the focus of 2012 Upper Deck Football is on the game's newest professional players, it also brings with it a lot of the past. 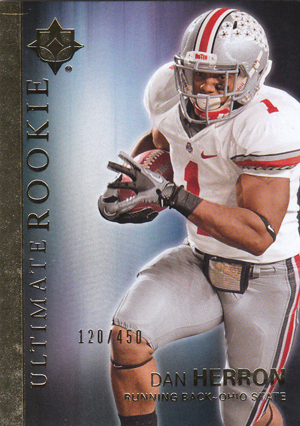 The set relies a lot on designs and programs that were big with collector's at the height of Upper Deck's popularity. 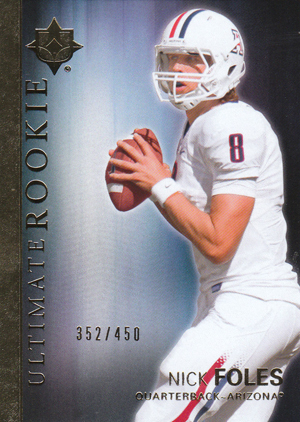 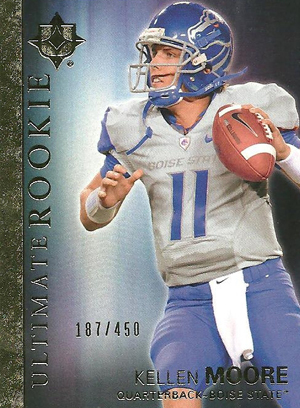 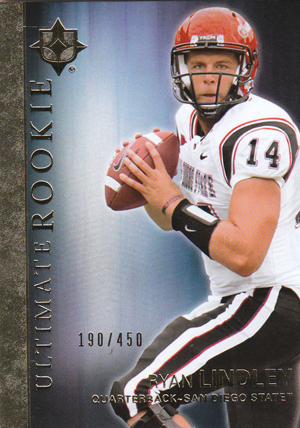 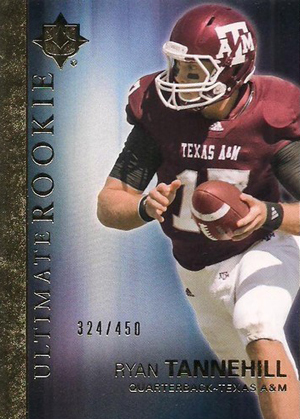 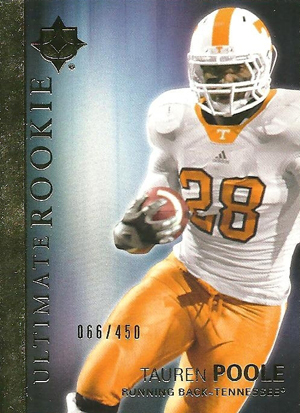 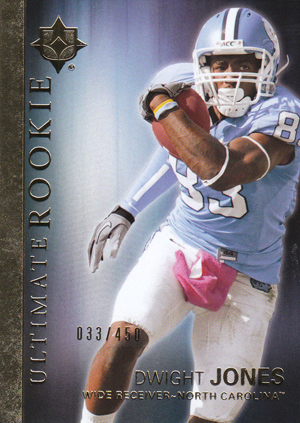 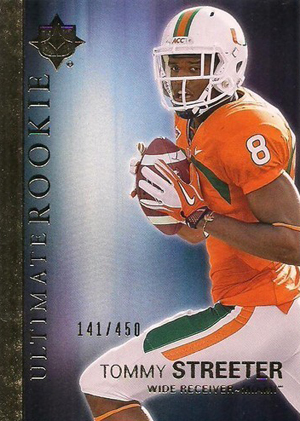 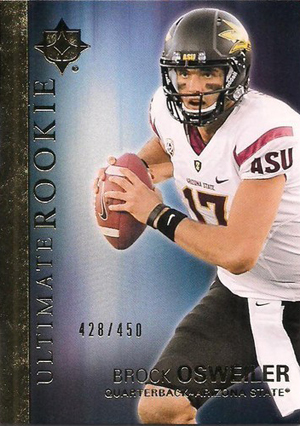 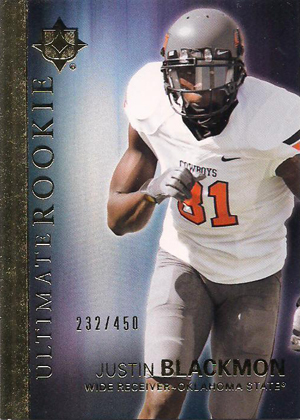 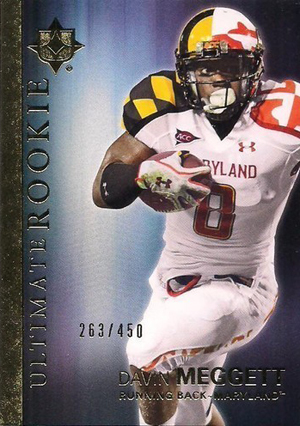 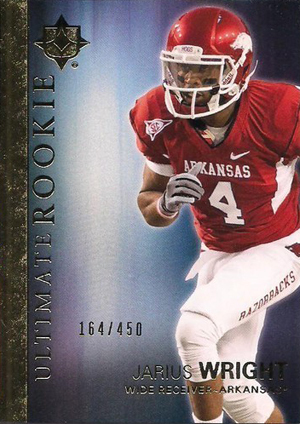 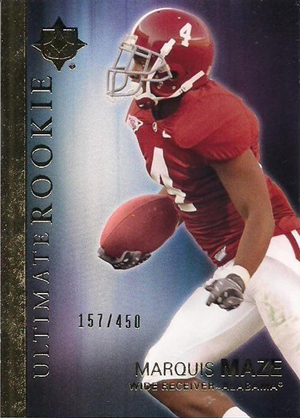 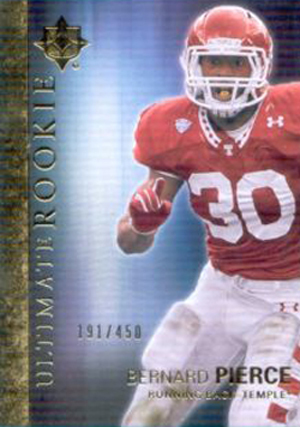 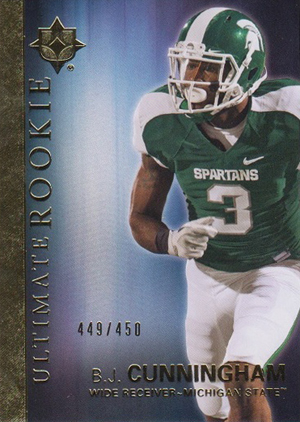 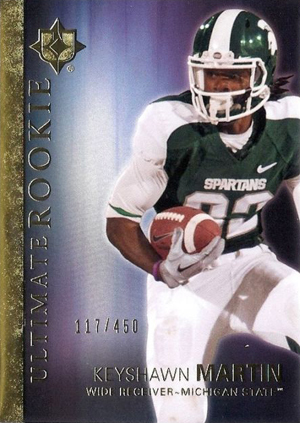 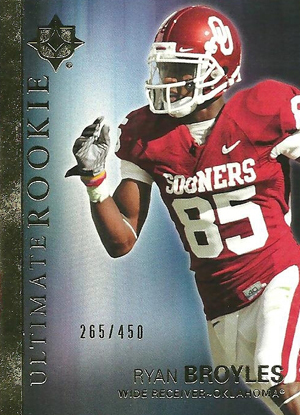 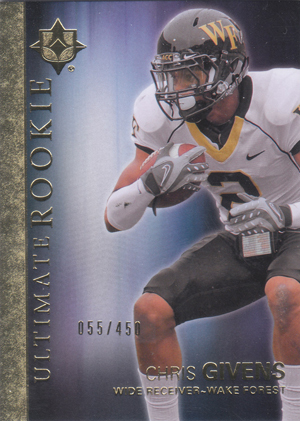 One of the throwback names that should have a lot of appeal are the 2012 Upper Deck Football Ultimate Collection Rookies. 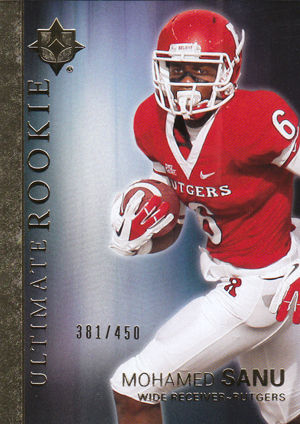 Inserted two per box, each 2012 Upper Deck Football Ultimate Rookies card is numbered to 450. 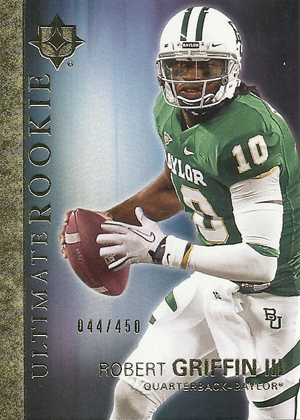 The checklist has 60 different players, including Robert Griffin III, Trent Richardson and Justin Blackmon. 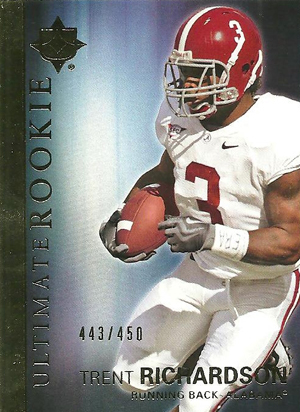 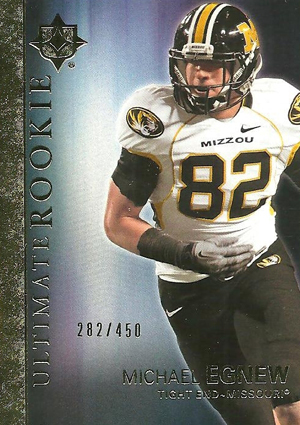 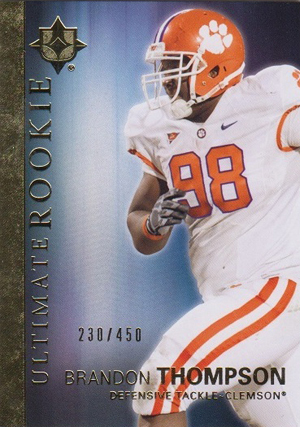 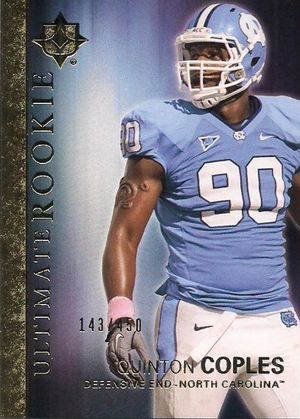 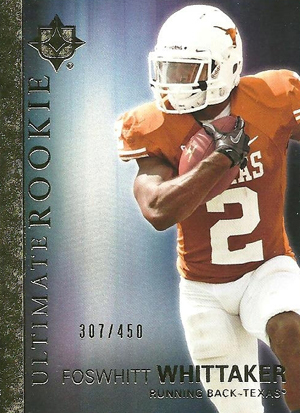 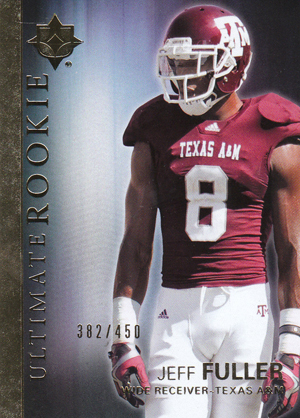 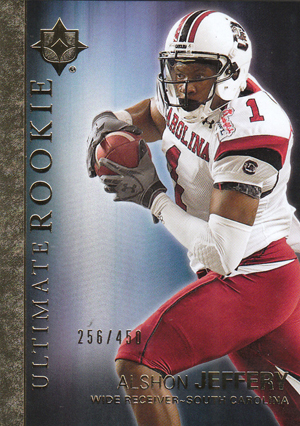 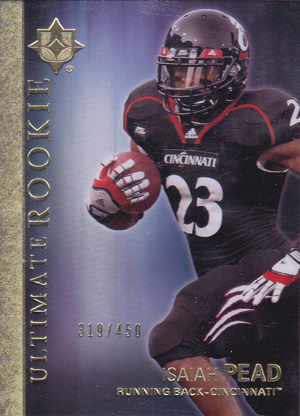 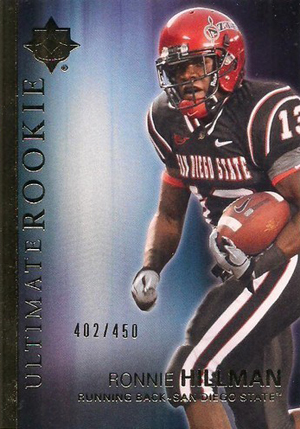 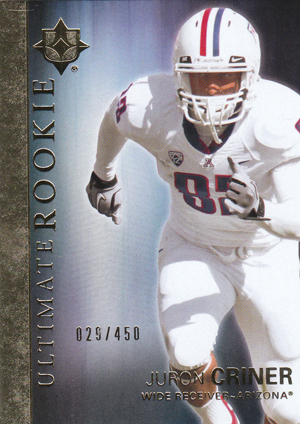 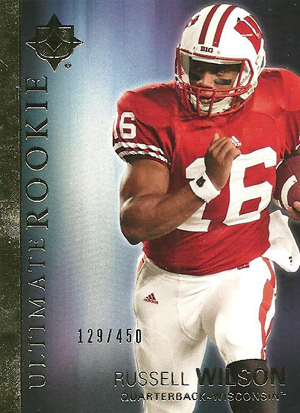 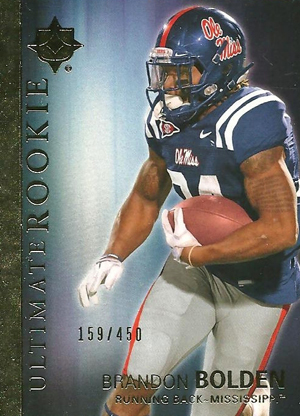 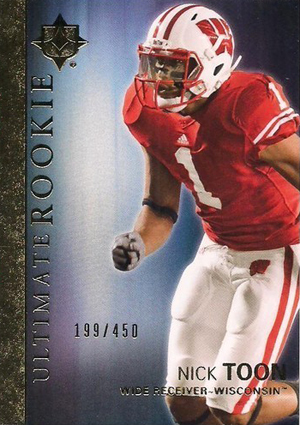 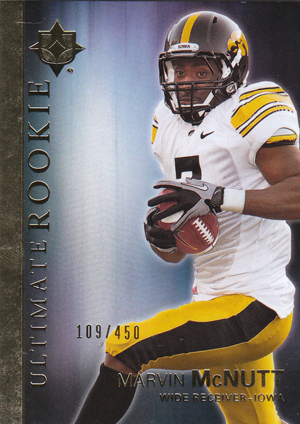 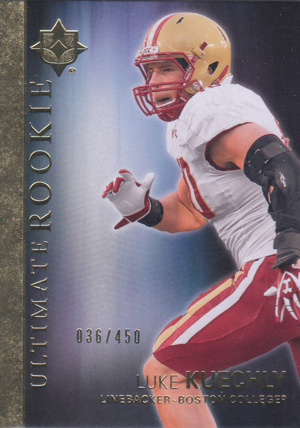 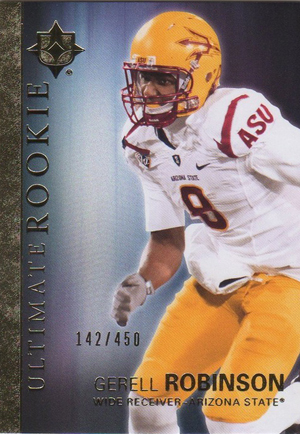 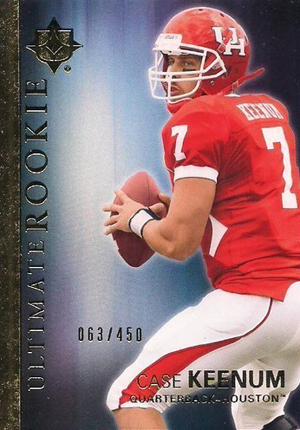 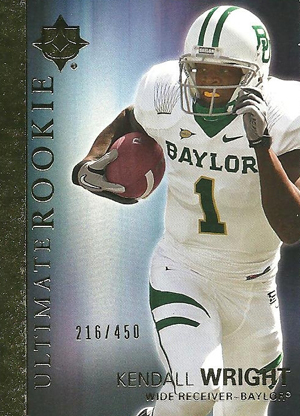 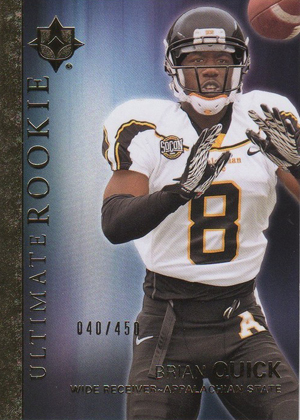 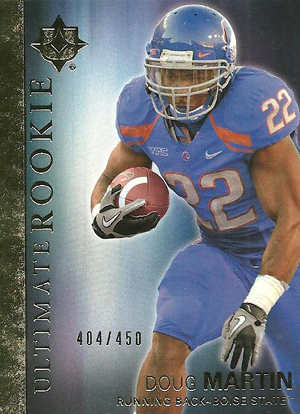 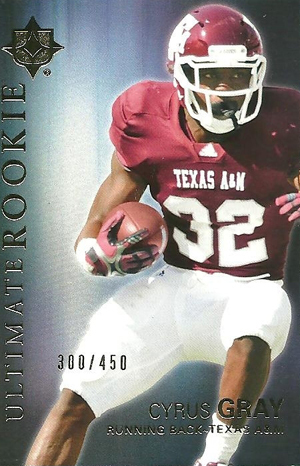 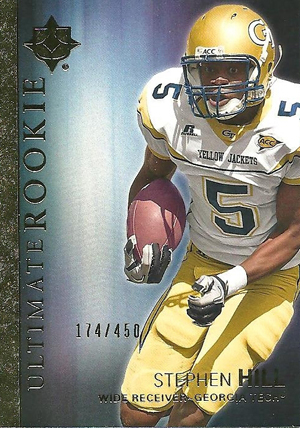 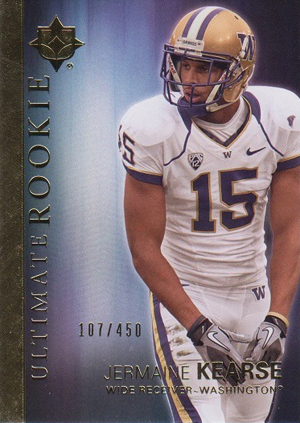 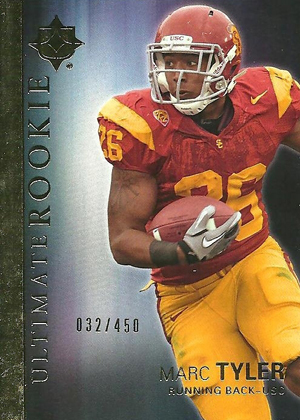 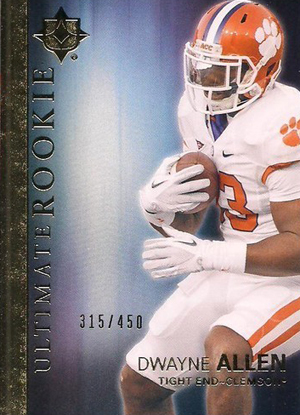 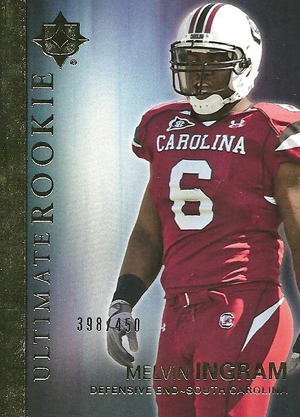 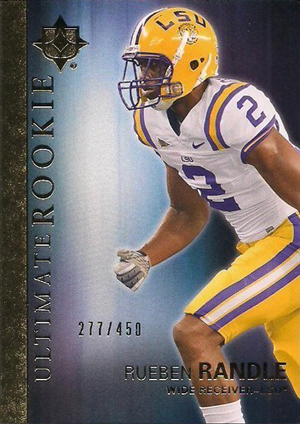 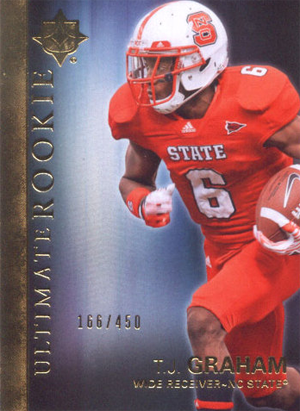 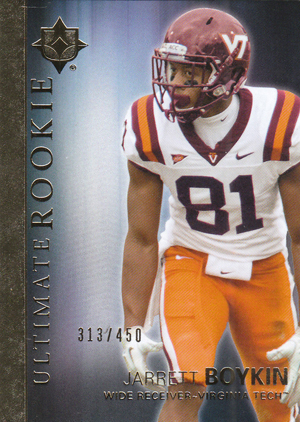 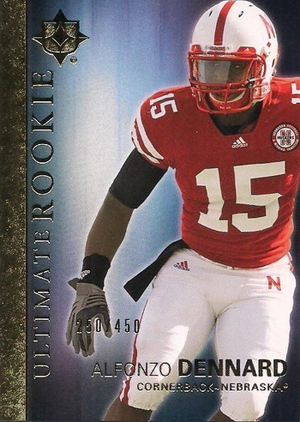 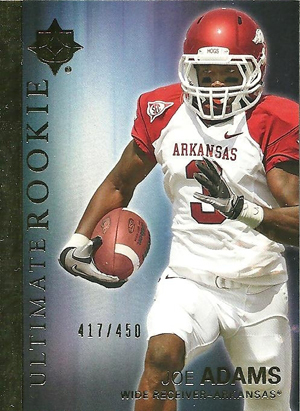 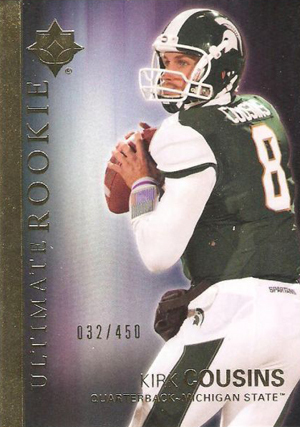 Because Upper Deck does not have an NFL license, all players are pictured in their college uniforms (the company has an exclusive NCAA card deal). 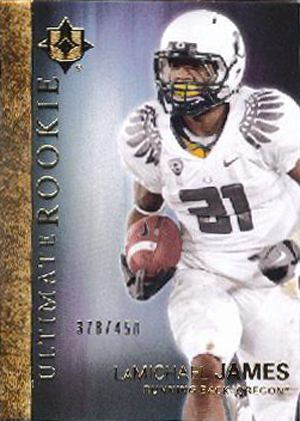 The cards walk a nice balance of being plentiful enough to make building a set a reasonable challenge. 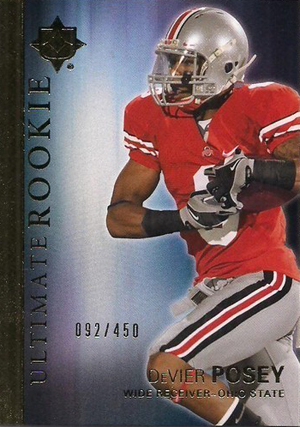 At the same time, they're rare enough that they should hold solid collectible potential. 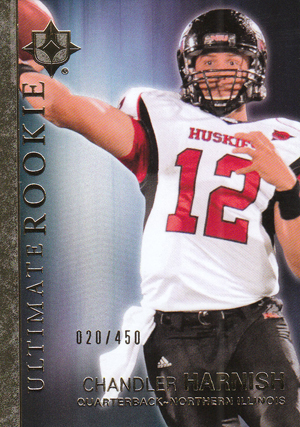 Below, you can take a look at the entire 2012 Upper Deck Football Ultimate Rookies set. 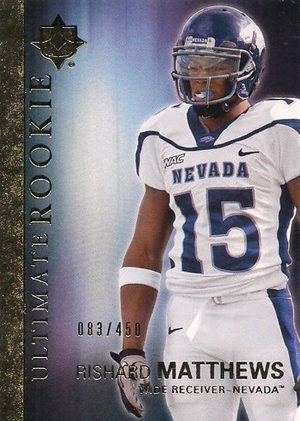 We've also expanded the checklist to include the player's alma mater. 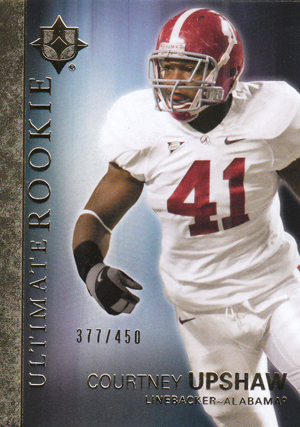 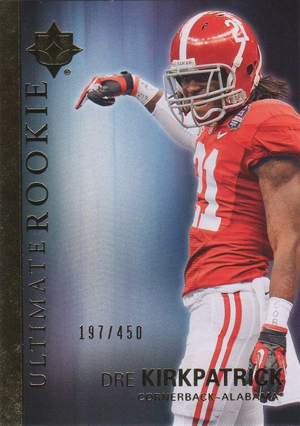 2012 Ultimate Collection #14 Courtney Upshaw Alabama Crimson Tide!